For anyone who misses out on the sneakers. The OVO x Air Jordan 10 isn't the only retail item coming from the Drake x Jordan Brand partnership. 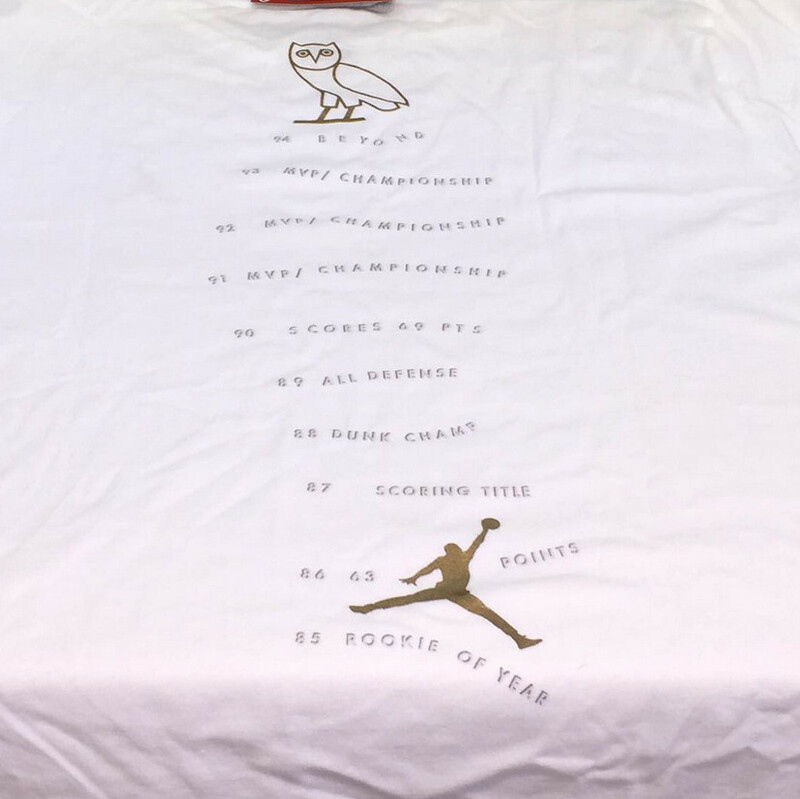 The above photo, posted by leaker oregonsole, features what appears to be an OVO x Air Jordan t-shirt complete with the accolades found on the bottom of the Air Jordan 10, the Jumpman logo, and the OVO logo. The caption on the photo suggests this shirt will be releasing on Oct. 3, the same confusing date that the OVO x Air Jordan 10 release was briefly moved to. No word yet on whether Jordan Brand has more apparel in the works for a retail release, although Drake himself has shown off some interesting pieces on that end.